The other day when I went to one of the local hospitals to see my dad after surgery, I took note of the number of different additions and how each one had a different style and how they came together to form a very unique structure. 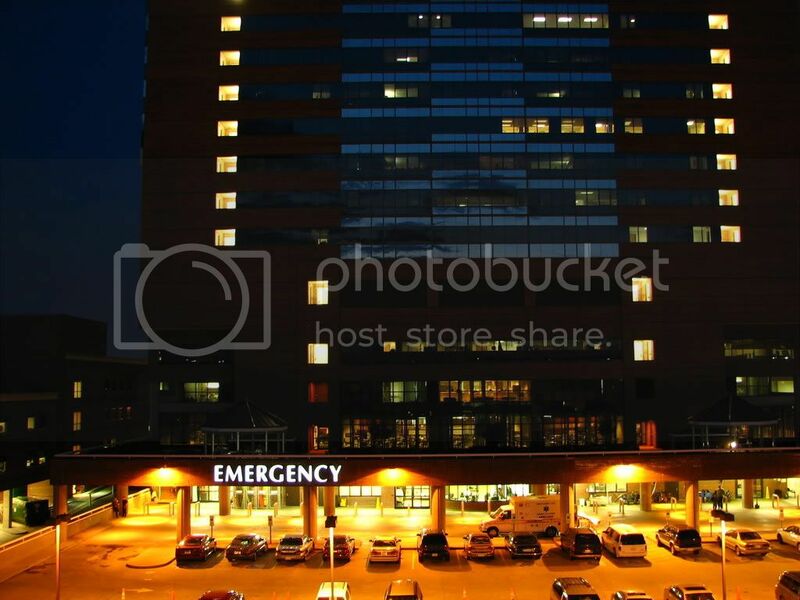 So if you have pics of any interesting hospitals, post them here! The smaller building in the immediate front of the photo is the old nursing school, which is now demolished. 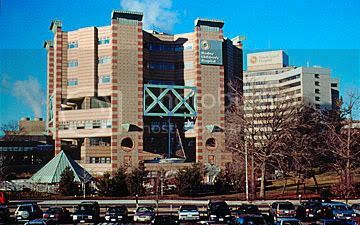 RI hospital, i'll try and find more pictures. This is the new Helene Devos Children's Hospital in Grand Rapids, MI which is about to begin construction. The fountian pen shaped silver spire is to be 300 ft tall. 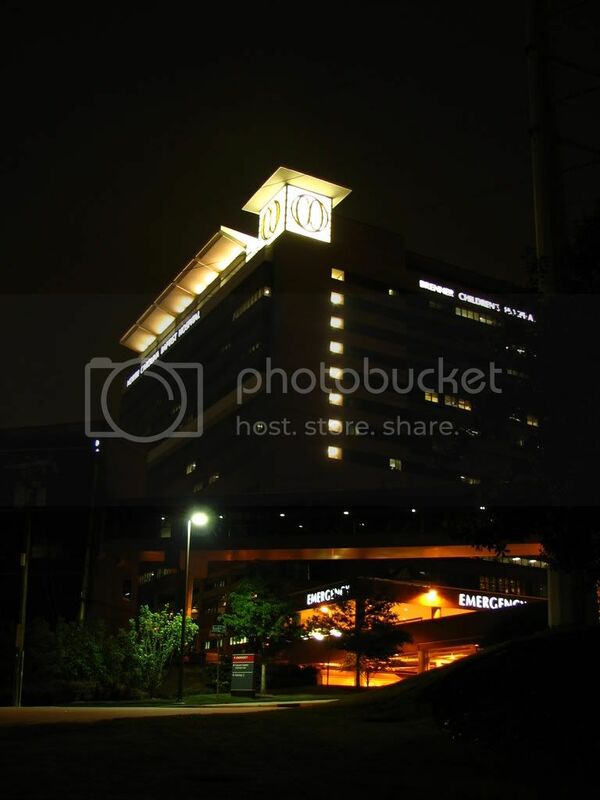 ^that is an awesome hospital. I knew that someone from GR would post that rendering. Its going to look pretty dang good. 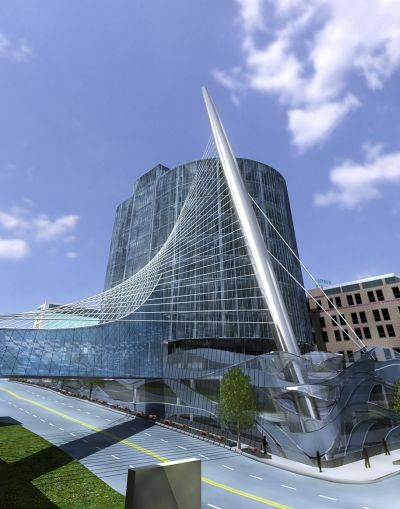 What does the skybridge in the rendering connect to? I have noticed there is a Children's Hospital building boom going on around the country. 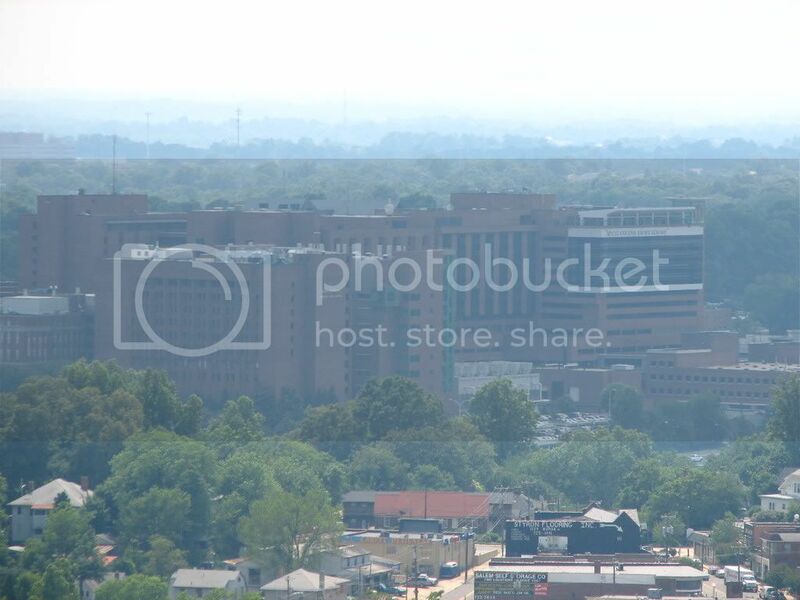 This is Forrest General Hospital in Hattiesburg, MS. This picutre was taken before they did the huge addition, but from this view there really isn't much difference in how it looks now. Jersey City, NJ - The collection of towers in the center is the former Jersey City Medical Center complex. Its replacement is Wilzig Hospital, the *single* white building to the far right. This is a closer view of this former hospital complex. HUGE. 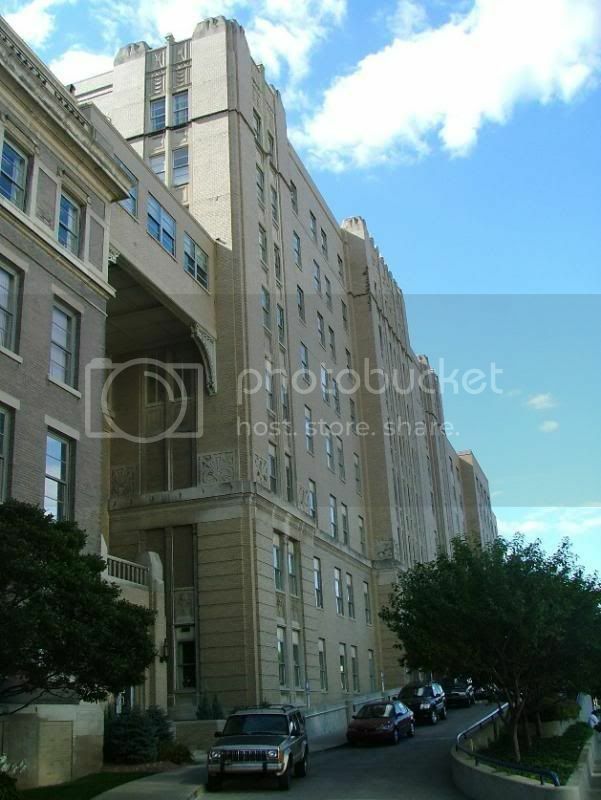 It's being slowly converted to condos, under the name The Beacon. I kind of dig our hospital, just across the street from where we live - Boulder Community Foothills Hospital. It is LEEDS certified. I just happened to take a photo of our new Children's Hospital here in Charlotte today. A park system/creek-greenway passes by this hospital, and this photo is taken from a bicycle on the path at the edge of the water. 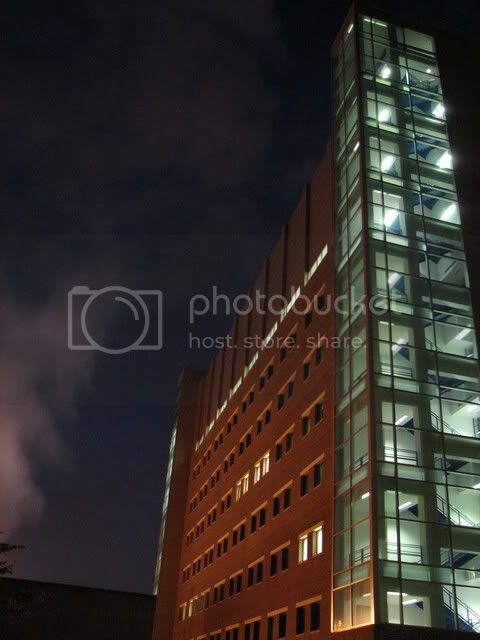 I hadn't planned to photograph the hospital, but here you go anyway. As I think about it, the decision to connect the outside of the hospital with the natural greenway and creek would be very calming if I were to be worried about anyone who may be inside the hospital. It's a nice touch. those are prizm cutouts that reflect the sun btw. Nice! I've always loved that addition. Two hospitals in the downtown(I think ones a medical center though..) are made up of mostly turn of the century structures(art deco, classic, italian revival, etc) instead of replacing them we just kind of added onto them(even in the 1930's).